This 3-stone ring forms part of the larger Suffragette collection designed to showcase suffragette colours: violet for dignity, green for hope and white for purity.  Dinny Hall continues to donate a percentage of all Suffragette sales to Women’s Aid. This ring showcases a 3mm faceted round white sapphire, a vibrant green peridot, and violet amethyst, in a delicate two claw 14k gold setting. 0.13ct White Sapphire, 0.12ct Peridot, 0.10ct Amethyst.